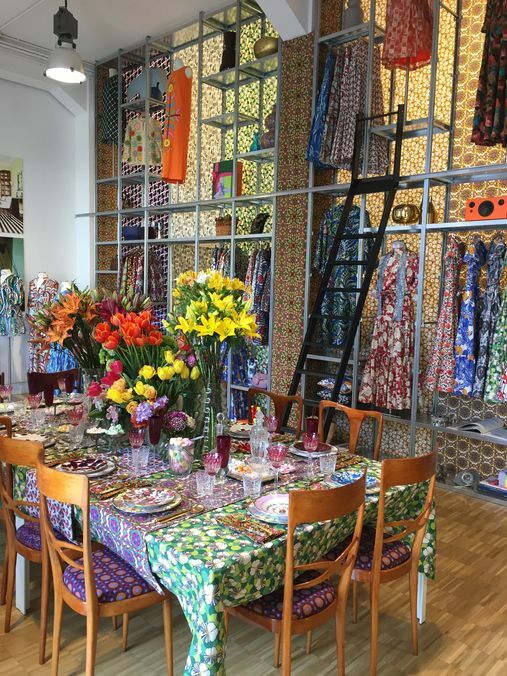 Then, in one of the oldest parts of the city, where the small houses on a canal could have been out of a Vermeer painting, I entered a courtyard filled with blooming wisteria, which was the perfect introduction to J. J. Martin’s magic, maximalist showroom. It was filled with her vintage fashion and jewelry finds as well as her new collection of tabletop and clothes, at a now-open pop-up shop at Bergdorf Goodman, with an opening party on April 20. Lucky us!